Sadras Agent is an epic Assassin creature card. It is part of the Core Set. "Your death will be swift." "This is... your battle... now." 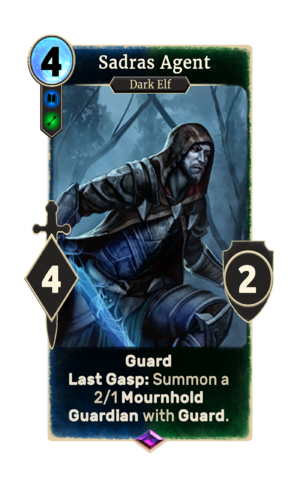 The card is named for House Sadras, one of the Great Houses of Morrowind. This page was last modified on 16 February 2019, at 15:29.